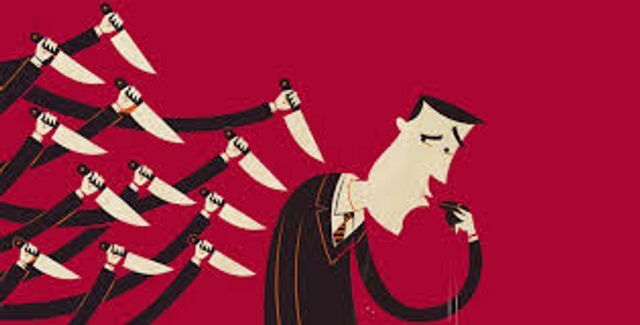 The most recent case under the whistleblowing legislation (the Protected Disclosures Act 2014) involves a senior employee who had worked for a local council since 1975 . At the height of his career he represented the council as a director of a company which operated a high profile local sporting project, and was responsible for 82 employees with a budget of up to €15 million. He had raised a number of issues throughout his employment, but more recently, disclosed irregular payments and accounting practices regarding the project to the newly appointed CEO of the council, and a government minister. He was then moved to another area in the council with responsibility for only six people. He alleged that this was a demotion, caused by his disclosure. The WRC found that while his disclosure was certainly a Protected Disclosure under the 2014 Act, the move to another department could not be linked to it. This finding was mainly based on the fact that the CEO who implemented the change in role had been appointed long after the subject matter of the allegations had occurred and so was not in the "firing line" in respect of the disclosure - i.e. the complaint could not have motivated him to move the employee. Of particular note is the fact that the Adjudication Officer looked at claims of penalisation under the Safety Health and Welfare Act 2005 in making his decision. Based on his understanding of those cases, he had to determine whether the action complained of was a "knee-jerk" reaction to the disclosure (i.e. could it be shown to be in retaliation for the disclosure). In employment/H&S circles, we call it the "but for" test - i.e. but for the disclosure, the retaliatory action would not have been taken. Based on the facts of the case (and these cases are always fact specific), he decided that the required link could not be established. This is a further reminder to practitioners/employees that less favourable treatment won't always be considered penalisation under either the 2005 Act, or the 2014 Act, unless the "but for" test can be satisfied, and that is not always a done deal. Taking these factors into account, I find that there is insufficient evidence to conclude that the transfer of the complainant was because of, or in retaliation, to the protected disclosures. I have regard to the length of time and the fact that a different CEO is implicated in the disclosures. I also have regard to the fact that the complainant retained delegated functions, even if on a lesser scale than colleagues. ........ While the complainant was obviously dissatisfied with the new role, taking the above factors into account, there is insufficient evidence to conclude that the “but for” test has been met and that the case of penalisation has been made out. ...... It is obvious that the respondent should update its policy and procedure regarding protected disclosures; this does not, however, mean that such a complaint should automatically succeed.